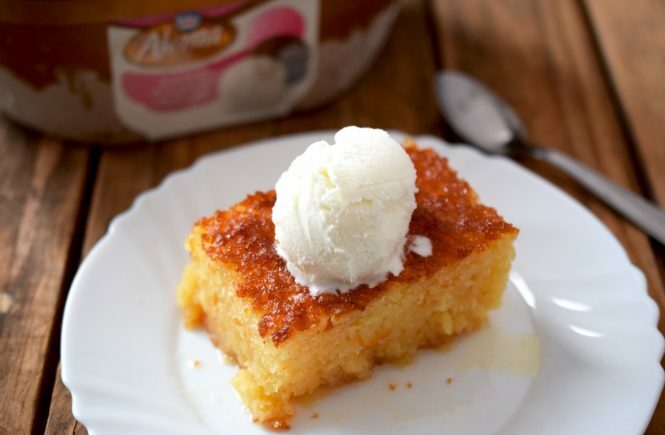 It’s true that Greek desserts are modest in terms of ingredients or technique. Give a Greek some eggs, flour, milk, sugar and let them surprise you with what they can make out of 4 ingredients! Galatopita is one of those humble, yet succulent desserts everybody loves. 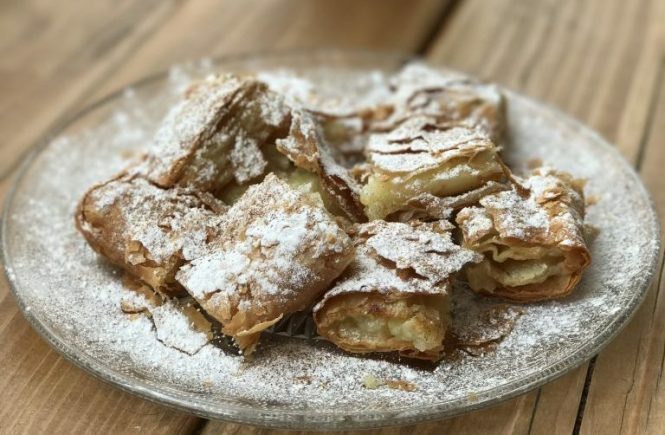 As its name suggests, galatopita is essentially a custard pie. While in the U.S, “pies” tend to have a firm, biscuit crust, this pie is more of a simple way to name a dessert made of phyllo and custard. 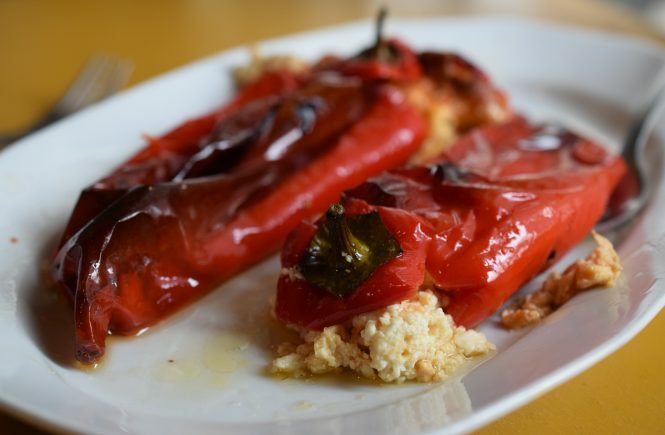 Feta-stuffed peppers or piperies me feta. You had me at “feta”! What’s not to love about this special, rich, salty Greek cheese? Everything is better when mixed with cheese, but when it comes to feta, there is 50% chance of success. Don’t get me wrong, it’s not that I am not a big fan of feta; I only acknowledge the fact that feta can overpower every taste and put all other ingredients on the side.This is not the case with this authentic Greek feta-stuffed peppers recipe. 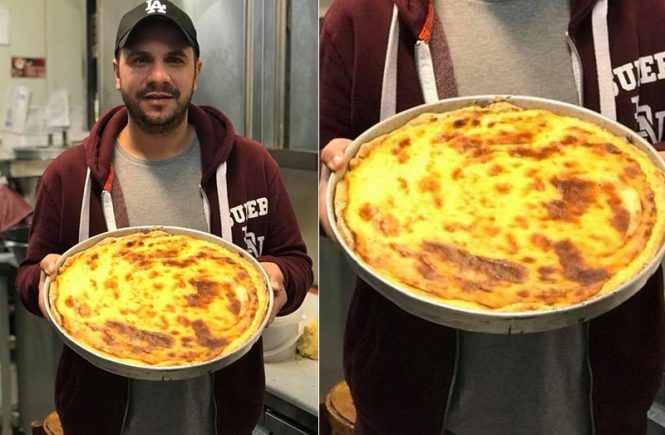 Tiropita recipe, also known as Greek cheese pie. For Greeks, a slice of tiropita is the equivalent of a bagel in New York or a baguette in Paris. It’s the ultimate breakfast, especially when accompanied by chocolate milk (tiropita and Milko, anyone?) Bakeries in Greece tend to sell out by noon as they are extremely popular for people at any age. And, suddenly, it’s fall. Temperatures fall and I can’t think of a better time to bake a bougatsa. 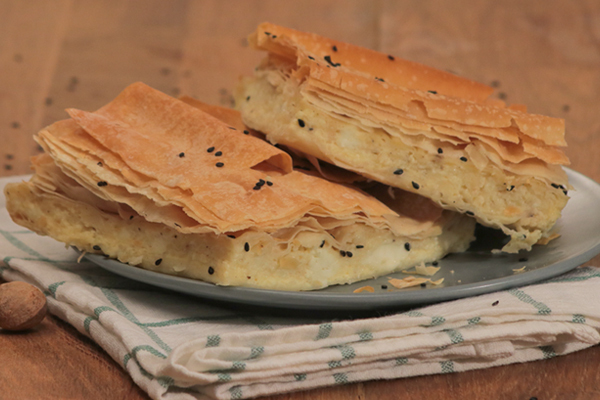 Bougatsa is a Greek custard pie with phyllo. Since my last recipe for portokalopita, I got all these comments and questions on how to use phyllo. Actually, there are a few tips to baking better desserts with phyllo – keep on reading to find out. I’m a sucker for exciting Greek restaurants in NYC that take their Greek cuisine game very seriously. 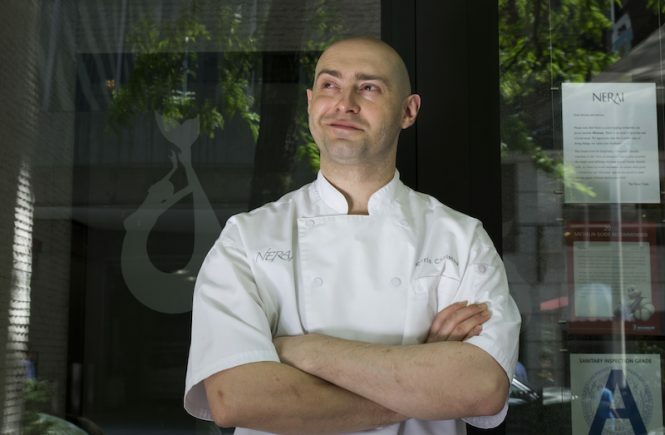 New York City’s Nerai is one great example in this category of restaurants. It’s practically new (almost 3 years old) and modern without missing the comfort of Greek cuisine. Ergon London serves honest, authentic Greek food – and great freddo espresso! It’s a great day when a new Greek restaurant opens up in town. There is something exceptional about this concept. I believe it does not only have to do with spreading the infamous Greek cuisine, but it rather makes a point. 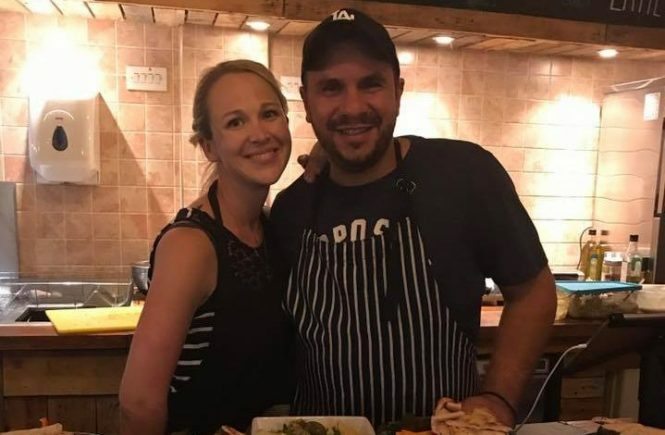 It’s showing the world that there are Greeks who dare, who are productive and ambitious enough to enter a huge market like the London restaurant scene. 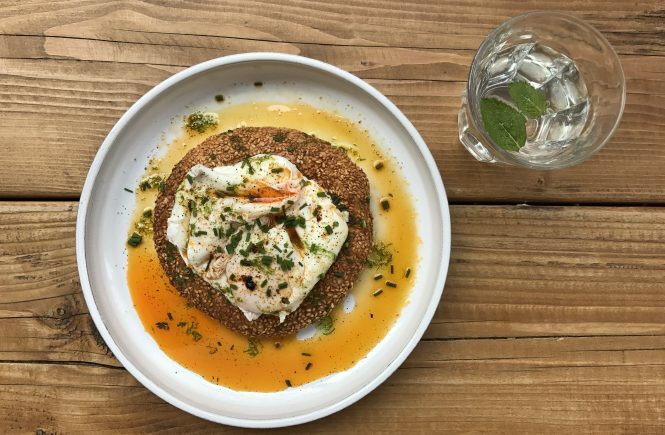 It’s time to show Londoners that Greek restaurants are, well, nothing like hummus and kebabs, and I am very happy to see remarkable venues like Ergon popping up. A proper Greek table is incomplete without tirokafteri. 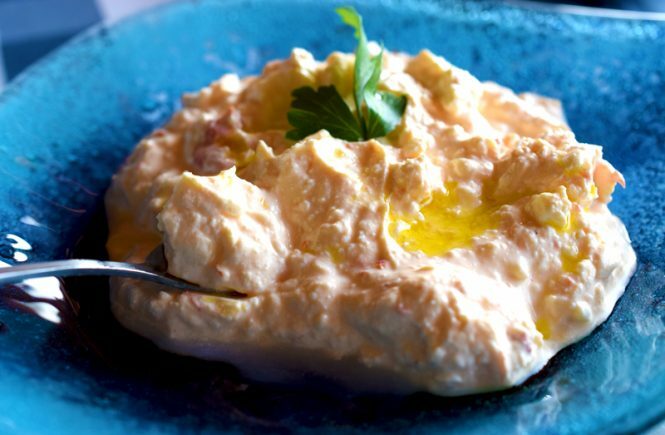 This is the second most iconic Greek dip (after tzatziki, obviously). I can totally understand why. It’s spicy, rich in terms of texture thanks to feta and feels so damn velvet that you can’t just have a dip in it. I cooked Greek vegan food in Birmingham! And so it happened! Vegan Greek pop-up night in Birmingham was a blast and an absolutely great experience – which to be honest Ι felt a bit anxious as I had almost zero experience cooking vegan food for a big crowd. The most interesting part of being a blogger is actually blogging. 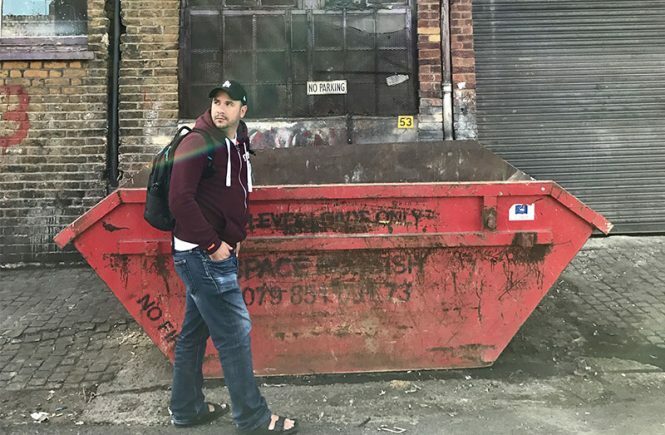 I’ve been wondering if I should call myself a blogger as I haven’t written a post since… well, a long time ago. Need a heads-up on why I haven’t blogged ever since?